Discussion in 'Staffordshire Bull Terrier' started by Kit, Jun 2, 2017. Yankeestaff use to live and show sbt's in the UK and must have had em 40 years or more. Email her explaining your situation, take it slow it's that knowledge and experience you can tap into. You have 4 years so use that time to acquire as much knowledge as you can on the breed. It's not always about seeing the dogs. Nat Ursula, pitbulldogs, Capt. Roxy and 1 other person like this. I emailed a few days ago. Haven't heard anything back yet. BUT, I've got lots of time. Kit, feel free PM me. I've spent the better part of a year wading through the breeders in the US and am currently waiting on an upcoming litter. Capt. Roxy, Kit, Nat Ursula and 1 other person like this. PM sent, did you get it? Hey! Not sure if you are still looking into this. I do not know about their ethics/cannot give a personal recommendation, but many of the Staffies I see in flyball come from or are related to dogs in these kennels. Sorry, not familiar with anyone in the PNW. I've started to waffle. 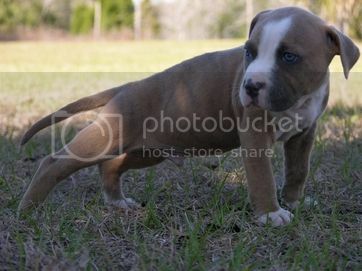 While I do want a Staffordshire Bull Terrier someday. I've been seeing several BC/Pit mixes that I REALLY like, and they are doing pretty darn good in agility... so we'll see. Can't do anything for another 3 1/2 years. I LOVE Quinlent Staffords! They are in Holland though. They have some gorgeous dogs. I'm not sure if links are allowed. They have a fb page you can see some of their dogs. Nat Ursula and Worg like this. I want a Staffy bull at some point as well, it's too bad they aren't very common in the US. Wouldn't say there are no decent breeders here, but it's a breed I would definitely prefer to import personally. Started following them in instagram recently, their dogs are physical perfection! As much as one can tell from pictures anyway, stunning dogs. Capt. Roxy and Nat Ursula like this. English staffs are super adorable. Little balls of crazy energy though but thats not exactly a bad thing. They're pretty common where I live. Far more so than amstaffs. Pitbulls basically don't exist due to an import ban in Australia so any I've seen are mixes. My mate has a little blue English. 8 months old, about 13-14 inches tall and shaped like a brick. So strong for his size and a crazy jumper. He chews anything he can get as well. I know how this turned out and am VERY jealous! Okay. I know the sire of my future puppy. I'm looking at 2 1/2 years now, and that's about the same timeline as his owner is thinking she'll be wanting a puppy. She'll be looking for a nice female to breed to. NOW, to talk hubby into it.... and wait.